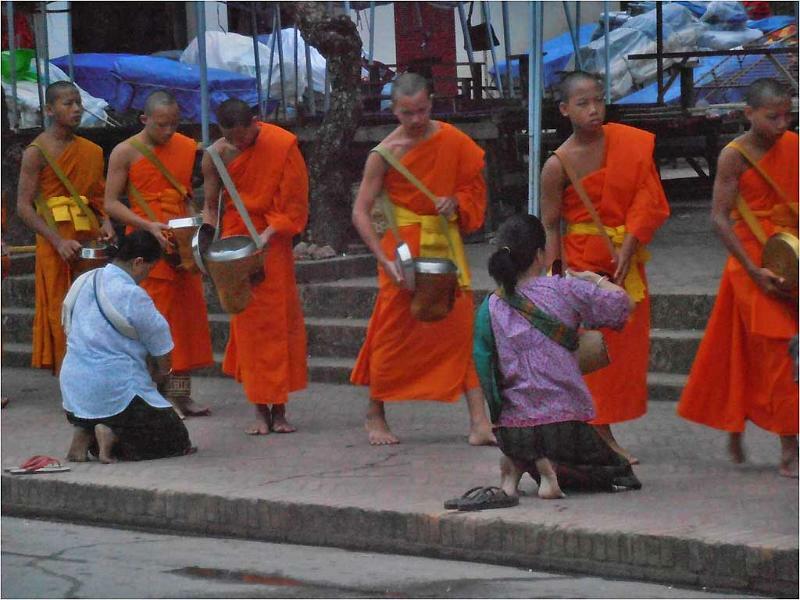 Tak Bat is what the people of Laos call the procession where monks receive daily gifts of food from the public. Most Tak Bat processions start at around 5:30 am every morning. 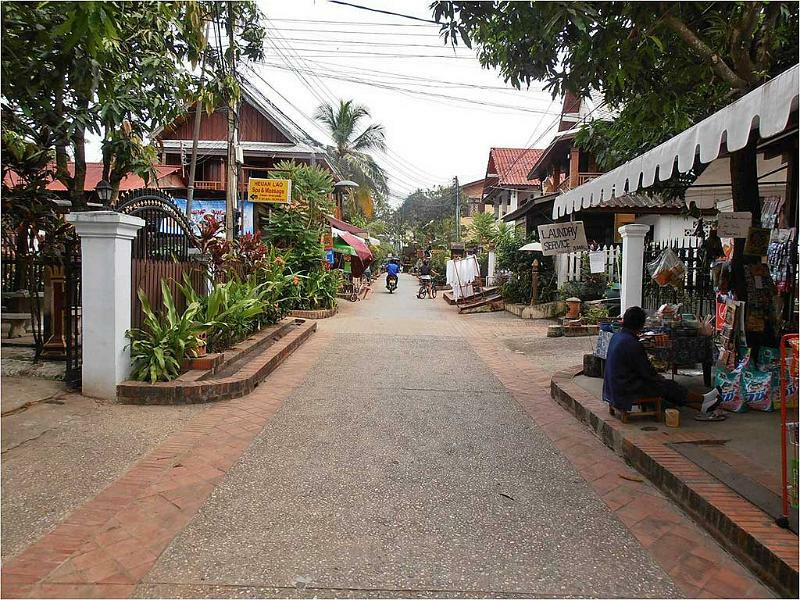 Tak Bat has become a trademark tourist draw for the city of Luang Prabang. Monks each have their own lidded rice bowls with straps around their shoulder used to collect offerings. The eldest monks lead the procession. The Tak Bat procession happens each morning at several temples throughout the city. Ask for advice about how to donate respectfully. The person donating needs to dress modestly, kneel, have bare feet and avoid eye contact with the monk. Also, make sure you don’t touch a monk. Please respect local traditions if you intend to donate at Tak Bat. 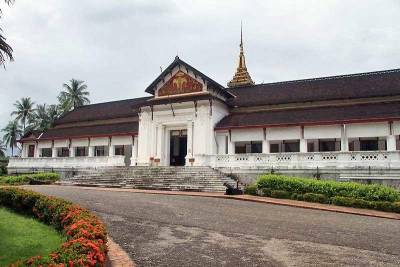 The Royal Palace was built in 1904 for King Sisavang Vong. The palace has been converted to the Royal Palace National Museum. 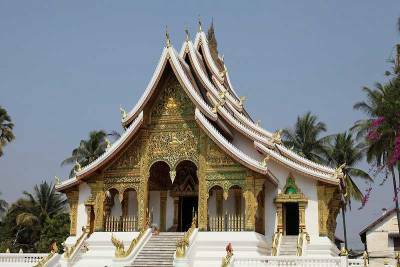 Also on the Royal Palace grounds is the Wat Haw Pha Bang Pagoda. This pagoda or “wat” was built in the 20th century here, so it’s a modern temple instead of an historic one. Just outside the Royal Palace is the Wat Mai Pagoda. The Luang Prabang Night Market seems to mysteriously appear at around 5 pm in the evening. 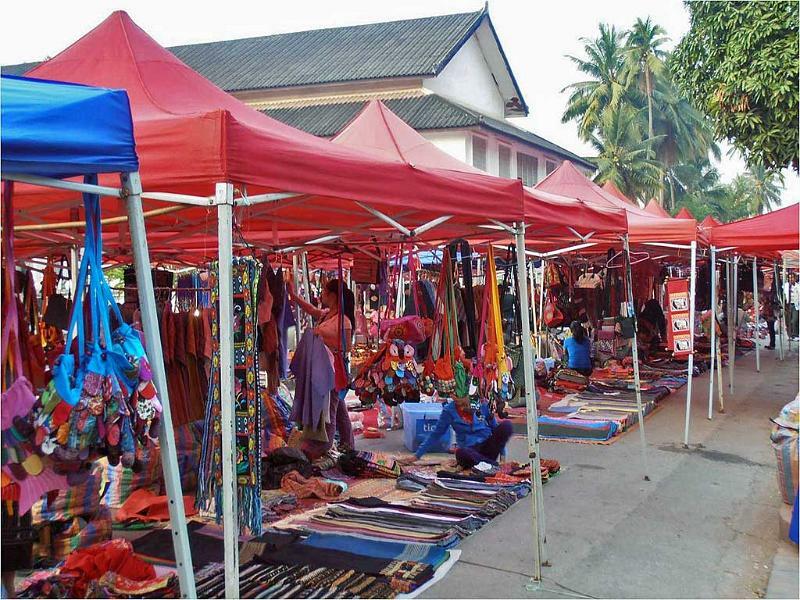 The stalls are recreated each time along Sisavangvong Road from the Royal Palace Museum. By 10 pm the night market disappears and the stalls are removed. 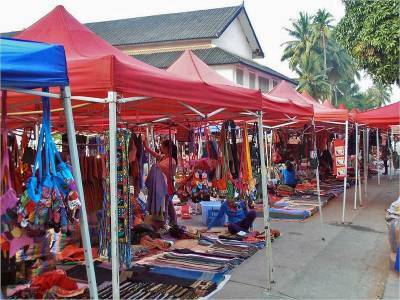 The Luang Prabang Night Market is an excellent place for tourists to find crafts, silverware and souvenirs. 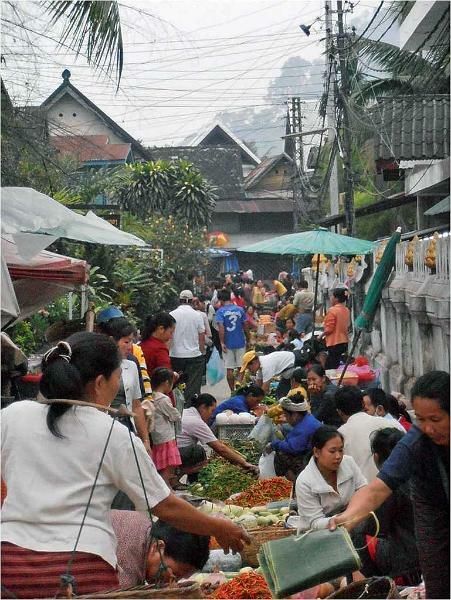 For a more cultural experience, try a day market with the locals at the Dara or Phou Si Markets. Pak Ou Caves or the Buddha Caves are a very popular destination near Luang Prabang on the Mekong River. Most visitors take a riverboat excursion about 15 miles long from Luang Prabang to get there. 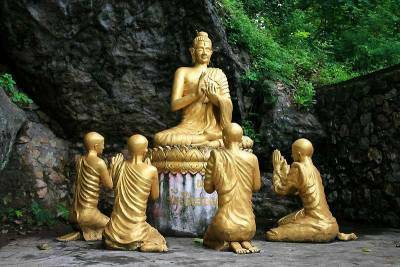 Inside the Pak Ou Caves you will see almost 1,000 Buddha statues and it may seem like almost that many tourists there too! 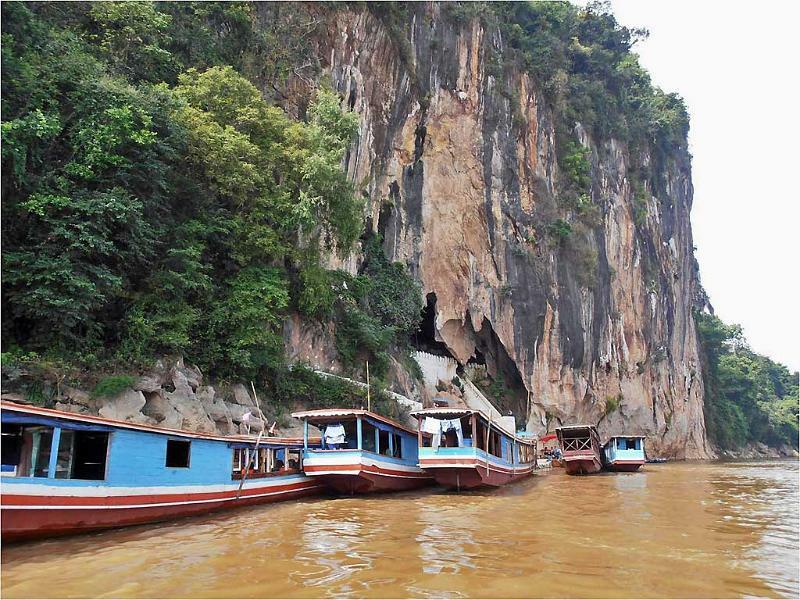 River trips to Pak Ou Caves usually stop at Whiskey Village on the way to the caves. 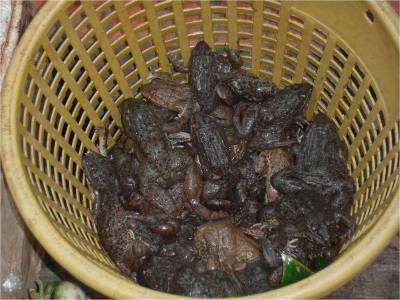 The name “Whiskey” comes from “lao lao”, which is bugs, snakes, scorpions and insects fermented in whiskey bottles of various shapes. You can also buy hand woven silk at Whiskey Village. Head to Phou Si Hill (Mount Phousi) for views of the city and for its sunsets. 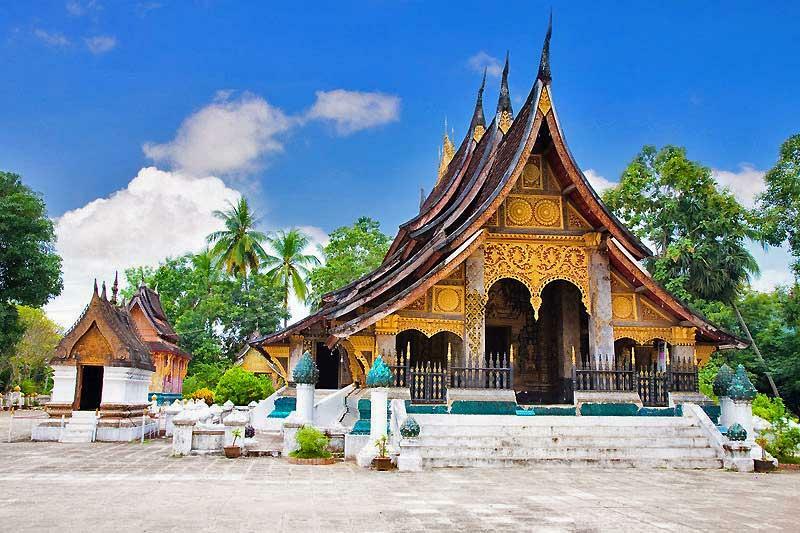 Phou Si Hill overlooks the Royal Palace, but the trail up starts in the Historic District. 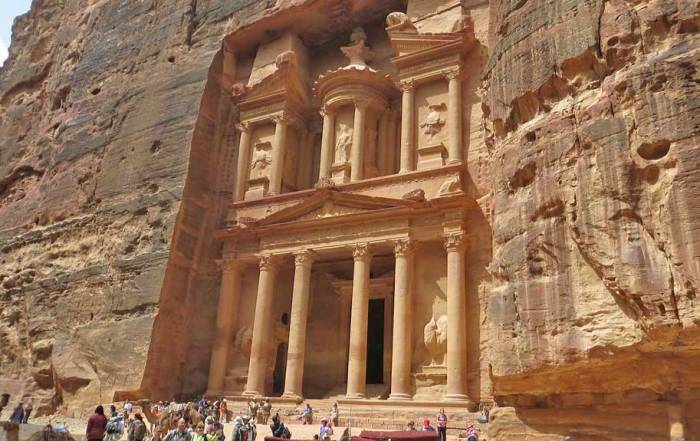 Climb over 300 steps to reach the summit. See the That Chom Si temple at the top and a number of small shrines along the way up. 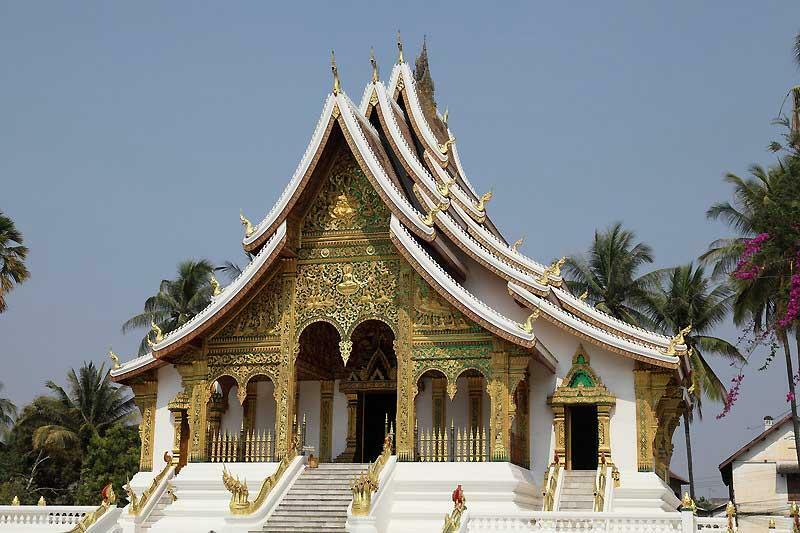 The Golden City Temple or Wat Xieng Thong is likely the most popular pagoda in Luang Prabang. The Golden City Temple has been around since 1560. It includes a reclining buddha and elephant stone sculptures. Arrive before 6 am daily to give alms at the tak bat procession of monks. Rent a bike or hire a tuk-tuk to tour the town. 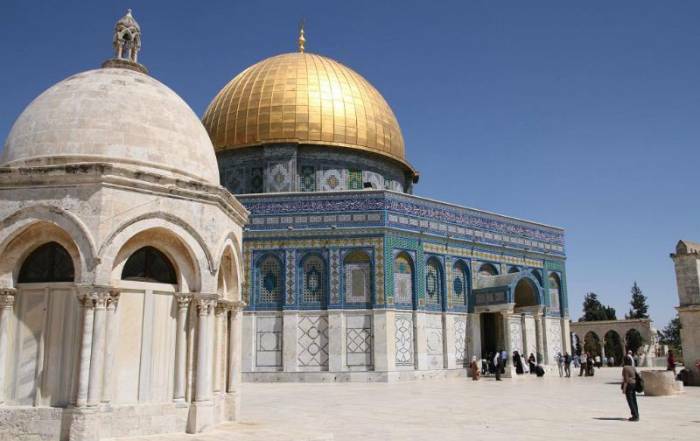 Ride from the Royal Palace through the Historic District to the Golden City Temple. Visit more than 30 temples around town. Spend time on the “river beach” of the Mekong River. Ride an elephant on a day trip to Elephant Village. Travel an hour through the rice fields to Kuang Si Water Falls or visit Tat Kuang Si Bear Rescue Park. You can get to Luang Prabang through Luang Prabang International Airport (LPQ). The airport is at the city limits about 10 minutes by cab from downtown. 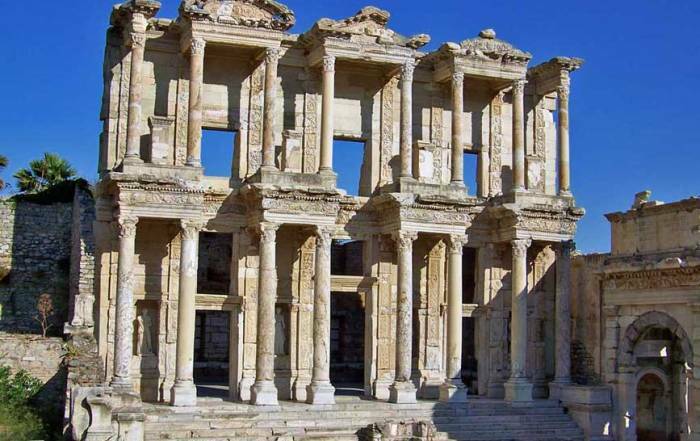 Most travelers arrive on an organized tour. 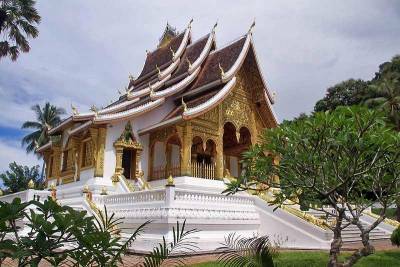 Your tour might arrive by air from Chiang Mai, by boat on the Mekong River from Chiang Khong or by bus from Vientiane. Laos doesn’t have passenger railways, so after you fly in to Luang Prabang you will have to rely on cars and buses. Luang Prabang is a long and challenging day’s drive by vehicle on Route 13 from Vientiane. You can cruise from Vientiane to Luang Prabang on the Mekong River, but check the online reviews of river cruise companies. The reviews are often not flattering. 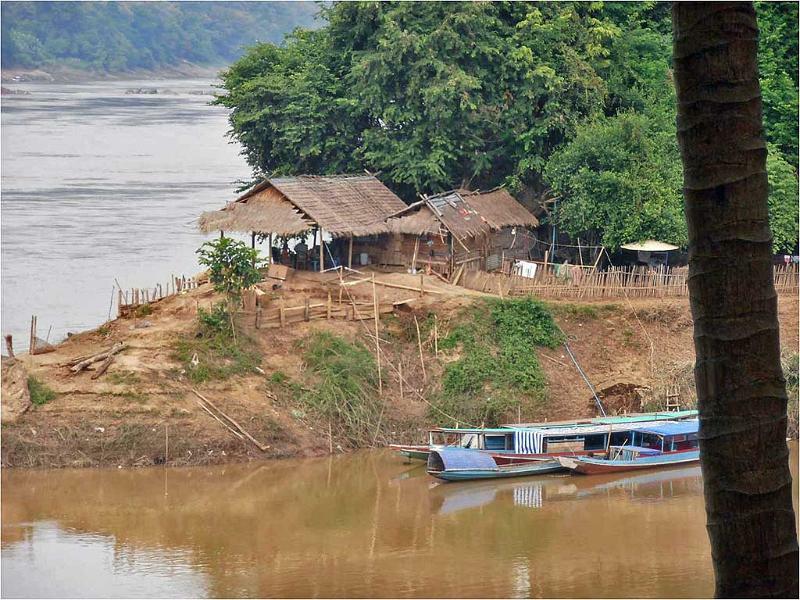 The 250 mile river journey between Vientiane and Luang Prabang is a long one, so make sure you are happy with your cruise selection if you choose this route. You will find that Luang Prabang weather is warm and humid all the time. Average temperatures peak from March to May at around 93 F (34 C), while average lows are 81 F (27 C). The monsoon season starts in April. Monsoons can cause high temperatures to moderate a couple degrees, but average lows remain at around 81 F (27 C). Rainfall in the monsoon season reaches its highest from June to August when up to11 inches (290 mm) in a month can be expected. In the dry season, from November to March, there is very little precipitation. 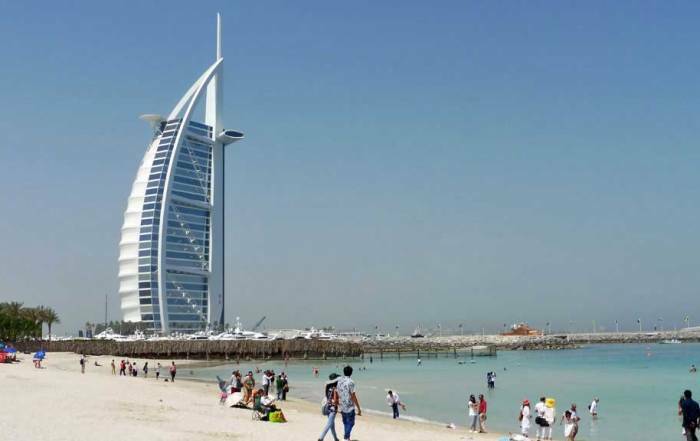 Expect average highs in the dry season of 68 F (20 C) and average lows of 60 F (15 C). 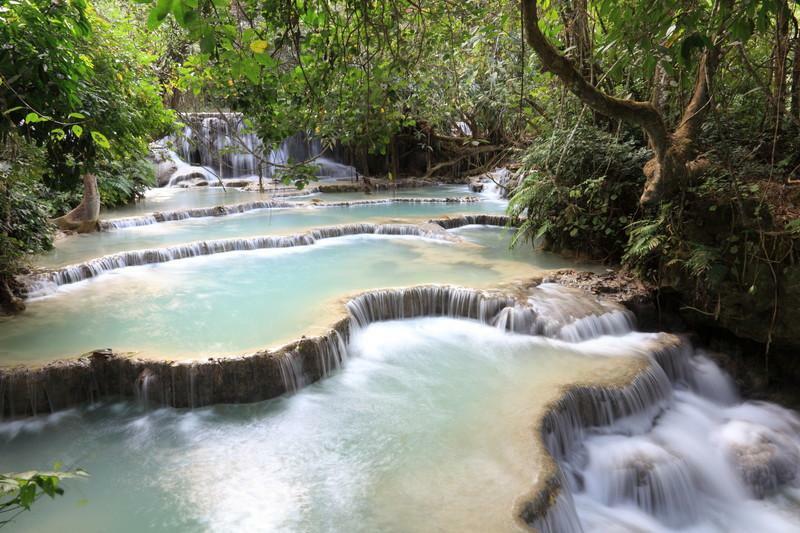 December and January are likely the best months to visit Luang Prabang for good weather. Don’t be surprised if baguettes are an option with your sticky rice. It’s the French Colonial influence. Try larb. It’s a meat salad and the national dish. Larb is also referred to as laab, laap, larp, and Lao-style salad. At the market, you can buy ferrets, birds and live frogs for your dinner. 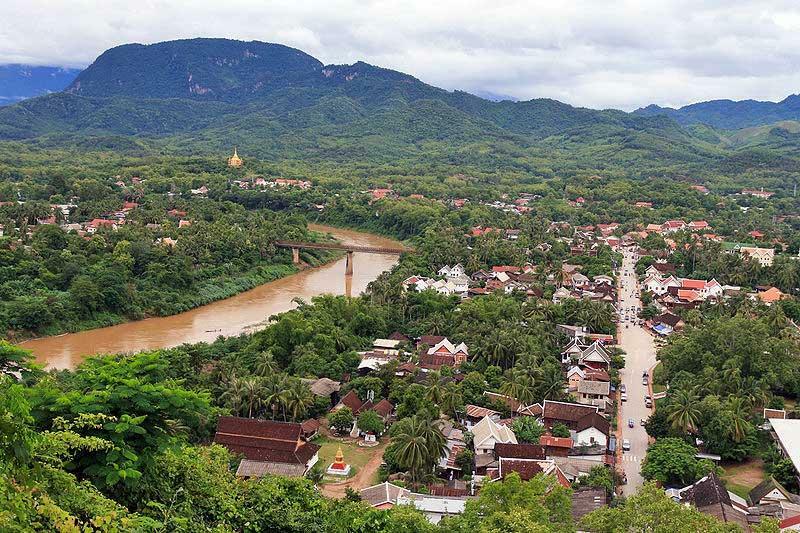 Some people call Luang Prabang the City of the Buddha of Peace. 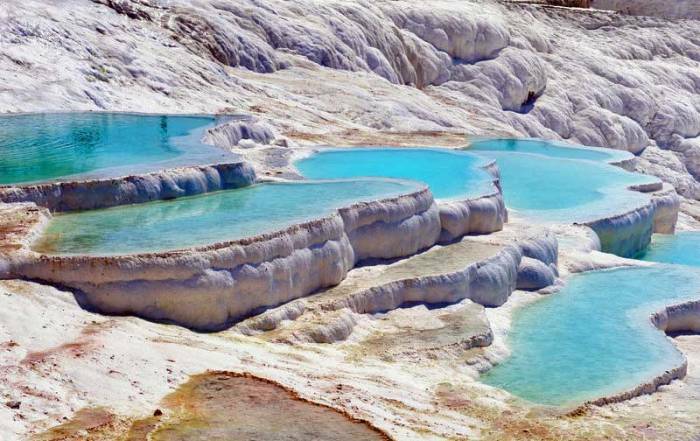 About 15,000 people live in this mountainous UNESCO World Heritage Site. 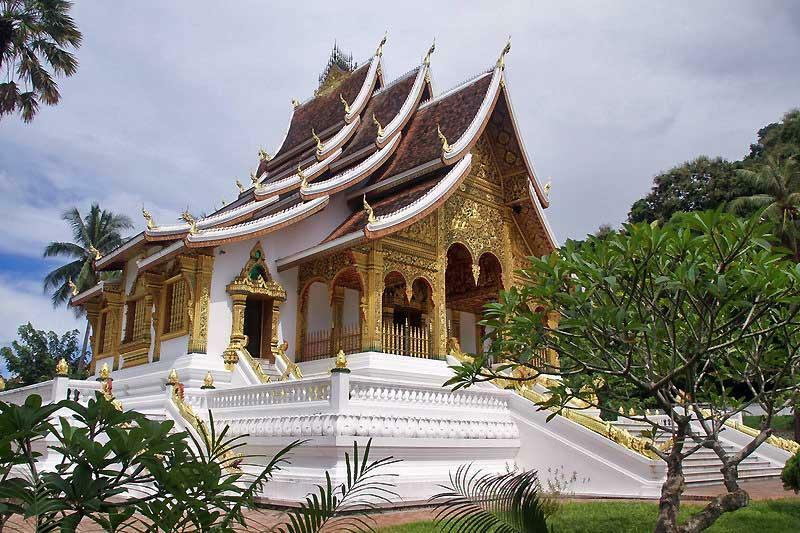 Luang Prabang combines numerous Buddhist temples with a little bit of French colonial architecture. This area is also renowned for its silk weaving.